Sometimes updating your browser will disable MailCheck. If MailCheck is not displayed, try to enable the extension. If you have accidentally disabled the mail.com MailCheck feature, you can re-enable the extension. Right-click the upper border of your browser window. Doing so should re-enable mail.com MailCheck. If it is still invisible, browser extensions from third parties may be disabled. Open the Tools menu in Internet Explorer and clickInternet Options. 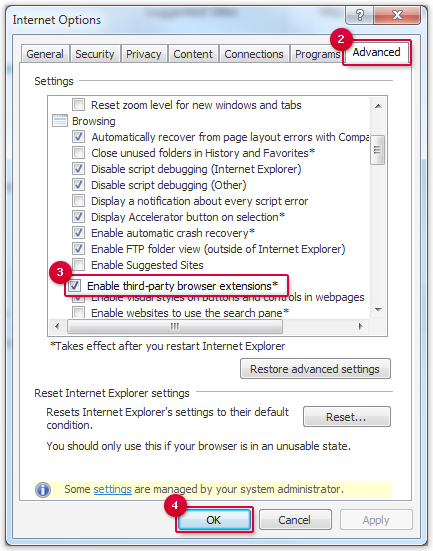 Check the Enable third-party browser extensions* option. mail.com MailCheck will be enabled.